We'll explain how to start a profitable pool service business or pool cleaning service from scratch with our expertise and countless years of experience in the pool and spa industry. If you like working outdoors, meeting new people and using your hands you have a head start to making money in the billion dollar pool service industry with very little start up costs. If you have aspirations of becoming an independent pool service professional there are some important details to think about before you take the plunge. You will need to think about what type of services you are going to offer whether it's basic cleaning and chemical maintenance or more complex tasks like repairs and construction. It's always a good idea to start small and as you gain experience in the industry, work towards expanding your services. Just like any other company out there, starting a pool service business will take time, effort and a financial investment to get things up and running. As your business grows you will find that every minute you put into education, courses, marketing and customer service is well worth it. The success of your business will ultimately depend on how happy you make your customers and doing a good job will ensure that happens. We are going to take you through every step from developing your pool service business plan to the most efficient ways to market your business to pool service business tips from the pros. The start up period is arguably the most important time for your business. It's where a lot of owners fail due to lack of preparedness and understanding of how the day to day operations will work and behind the scenes tasks like invoicing and accounting. If you are considering starting your own pool or spa service company you have no doubt been attracted to the industry for a number of reasons. Since we are all individuals, your reasons will be unique to you but there are some that stand out from other types of business. The allure of owning your own pool company combined with the fact that you are working with some amazing pools outside in the sun is enough for some but we'll take a look at some other advantages. When compared to other service businesses, owning a pool service business ranks near the top for low startup costs. The reason is because there just isn't a lot of expensive equipment required and you don't need to rent business space. The average upfront expenses will be under $2,000 and that includes the cost of licensing, insurance, courses, equipment and supplies which we will discuss more below. Flexible working hours is important for most whether you are balancing time with family, working more than one job or you just want free time to enjoy other things in life. A pool business is ideal because you can start part time or full time hours depending on your preference. You get to decide how many customers you service and you have a lot of control over your schedule. If you've ever had a job that required a lot of physical labour or experienced an injury that prevents heavy lifting, you will find that servicing pools is pretty easy when it comes to physically demanding work. Aside from carrying tools, equipment and chemicals there isn't a whole lot of lifting and the physical demand is very low. It's often overlooked, but there's nothing like feeling a sense of accomplishment or a job well done. It's really rewarding to walk up to a pool overrun with algae or one that hasn't been vacuumed in months and transform it into a crystal clear refreshing pool. It's even more satisfying when a pool owner tells you how amazing their swimming pool looks when you're finished. 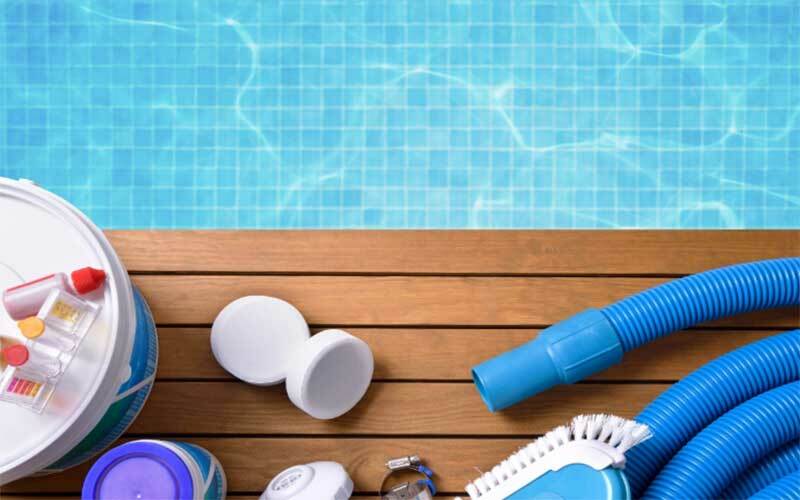 We've taken a look at the benefits of owning a pool service business and now we'll take a look at everything you need to get started. A lot of new owners that fail, come into the business with the idea that it's easy money and underestimate the amount of work required behind the scenes. 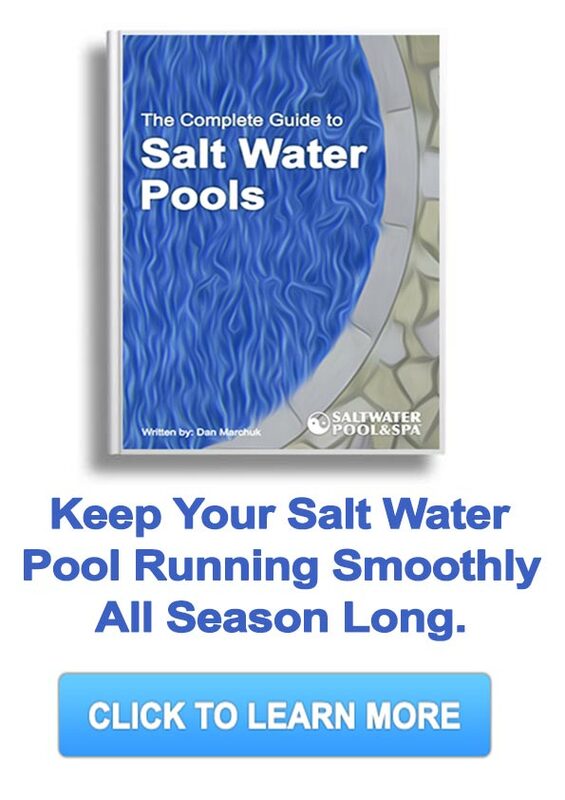 This includes education, training, customer service and general knowledge about pool chemistry and maintenance. It's important to recognize that as you plan your business that everyone is unique. You may come into the business with 10 years experience servicing pools for someone else or you might have only cleaned your parents pool for a couple seasons. There will also be different regulations, requirements and restrictions depending on where you plan to operate your business. The name of your business will stick forever in most cases and will be integral in developing your brand. It's not something that can easily be changed so take the time to find something that feels right and fits the above criteria. After you have narrowed your names down to a few keepers, check your local, state/provincial and if necessary, federal registration lists to make sure that someone else isn't already using that name. A business plan is a great place to start when putting ideas together and arguably the most important part of opening any business. A thorough plan will create a model for you to follow and is extremely helpful if you are seeking a small business loan or grant from a bank or financial institution. A good pool service business plan will outline the important elements of your business including; services provided, market analysis, advertising and financial projections. The type of license you need will depend on the requirements in your local jurisdiction so you'll need to do a bit of research when deciding on the right pool service license for your business. At the very least you will need a local business license that will allow you to carry out the business of charging customers and complying with local bylaws and restrictions. You may be required to become certified as a pool operator which might require a short course and a small fee. There are associations that are great to become a member whether it's required or not for the benefit of networking, education, compliance and insurance. The Association of Pool & Spa Professionals or APSP is a great option, as well as the United Pool Association or UPA. In addition to licensing and insurance, you will need to set up worker's compensation coverage for yourself and employees. You should also consider becoming bonded to protect your personal and business assets in the event of a dispute over duties performed or damages. The tangible supplies will assist you in carrying out your business behind the scenes. They will ensure that you cover the legal and professional duties of charging customers for services rendered as well as staying on top of the financials. As you begin to generate income for your business you will need to keep track of money earned and expenses that range from cost of equipment to mileage for tax purposes. The advertising for your pool service business is going to be a very big part of generating business leads. As you develop your brand and deliver great results you will notice that word of mouth from satisfied customers will also generate business. This speaks to the importance of effective advertising in the early stages of your business. We recommend choosing at least one or two advertising sources but the sky's the limit depending on cost and budget. The importance of education and courses to stay up to speed with changing trends can't be overstated. The pool industry is constantly evolving and the success of your business may rely on learning about new and developing products. An example is smart water care that's shifting maintenance to an easier and more user-friendly industry. A bit of research online and speaking with other successful business owners is another great way to educate yourself and learn tricks of the trade. If professionally delivered courses are within your budget or you are new to the industry, the Association of Pool and Spa Professionals or ASP has a number of great courses that they deliver in locations around the United States. As you start earning business and dealing with a large number of pools you're going to run into issues that stump even the brightest pool service technicians in the industry. Trying to balance a pool that just won't clear up or troubleshooting a problem that keeps reoccurring can be frustrating and costly. We've put to gather a list of tips that may come in handy as you carry out your business. The success of your pool service business will ultimately come down to you. The tips and advice we've provided are a guideline and will not guarantee you succeed but we hope it helps get you on the right track.